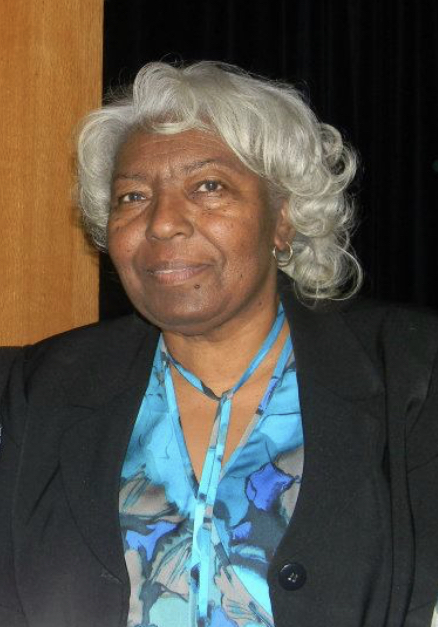 Mrs. Janice McNeil Williams, of Riverdale, Georgia (former native of Johnston County), departed this life Sunday, April 14, 2019. Funeral, 12 Noon, Saturday, April 20, 2019, Johnston Piney Grove Missionary Baptist Church, 1691 Barber Mill Road, Clayton, NC 27520. Visitation, 11:30 AM to 12 Noon, prior to the service. Interment, Johnston Piney Grove Community Cemetery, Clayton, NC. Survivors: husband of 50 years, Larry Noble Williams; four children LaQueta Williams Nelson, Larry M. Williams (Shontae), Anesha Williams and Keisha Williams Thomas (Roosevelt); one adopted son Levin Skip Cooke; three grandchildren, Jaylon Nelson, Mia Williams and Roosevelt Thomas IV; two sisters Patricia McNeil and Betty McNeil Barnes (Dennis) both of Clayton, NC; four brothers, Ricky McNeil, Billy McNeil both of Clayton, NC, and Johnny McNeil and Sherril McNeil both of Smithfield, NC; a sister in-law Irene Lee, Raleigh, NC; brothers in- law, John Williams and Donald Williams both of Clayton, NC and a host of neices, nephews, aunts, cousins and other relatives and friends. Public viewing, 1PM - 8 PM, Friday, April 19, 2019 at the funeral home. There's still time to send flowers to the Visitation at the Johnston Piney Grove Missionary Baptist Church (Barber Mill Road, NC) from 11:30 AM to 12:00 PM on April 20, 2019.